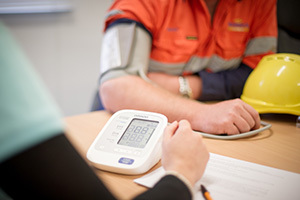 As a specialised corporate health fund, GU Health understands the power of a healthy workforce. Supporting employee wellbeing can result in increased employee satisfaction and engagement, leading to reduced absenteeism.2,3 A healthy workplace also encourages greater health awareness and knowledge, physical health and mental wellbeing, morale and job satisfaction among employees. At GU Health, we understand the importance of keeping healthy employees. Here you'll find resources designed to assist you in developing a corporate wellness program that works for your company. If you require any further support or would like to know more about how GU Health can help you in this space, please contact your GU Health Senior Client Advisor. 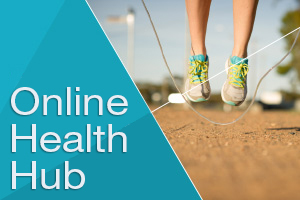 Our online health hub is a health portal enabling your employees to monitor and improve their health status. This tool incorporates an online health risk assessment to identify risk factors and early warning signs. The online health portal also provides support through customised information relevant to the interests, demographic and potential health risk factors of that particular employee. Employees who complete their online assessment and are identified as ‘at risk’, or currently managing a chronic disease, will be invited to participate in one of GU Health’s free chronic disease management programs. Our chronic disease management programs can make a real difference in the lives of employees suffering from, or at risk of, chronic disease. The programs we run in partnership with Remedy Healthcare, are conducted over the phone by qualified health professionals and adopt an active approach to employee health management. This support program provides members with the option to leave hospital early after an admission, enabling them to recover from their procedure in the comfort, familiarity and privacy of their own home. Home support services and programs is designed to assist with the transition from the hospital back to the home and enable members to benefit from the positive healing power of the home environment. SM Carraher, DE Hart & CE Carraher Jr. Attitudes towards benefits among entrepreneurial employees. Personnel Review. 2003; 32: 683-693. J Cooper, R Kessler, P Mills, et al. Impact of a health promotion program on Employee Health Risks and Work Productivity. American Journal of Health Promotion. 2007; 22:45-53.